Three advocacy groups that won a federal court ruling blocking Kentucky's Medicaid work requirement have asked the CMS to reject the state's move to cut off vision, dental and non-emergency medical transportation benefits in response to the decision. The National Health Law Program and two other groups sent a letter Friday to the CMS' acting Medicaid director saying Kentucky's proposed state plan amendment to end those benefits was never approved and that the state did not comply with procedural requirements. "The state's actions regarding termination of the vision, dental and NEMT benefits are causing great confusion and harm," the letter said. Doug Hogan, a spokesman for the state Cabinet for Health and Family Services, said his agency is reviewing the letter. "But we have been in contact with CMS throughout the State Plan Amendment process going all the way back to April and will continue to work with them through the approval process," he said. The June 30 decision by Republican Gov. Matt Bevin's administration to abruptly terminate dental and vision benefits for nearly half a million low-income adults reportedly has caused widespread turmoil, with dentists turning away children and adults. The advocacy groups said in their letter that they received a report from a Medicaid managed-care plan that a member was not able to get a medically necessary operation because the surgeon said the patient first needed dental services, which were denied because of the state's coverage cutoff. Hogan said the Bevin administration was forced to cut off those benefits in response to U.S. District Judge James Boasberg's June 29 decision invalidating the CMS' approval of Kentucky's Medicaid waiver establishing work requirements and imposing premiums on beneficiaries. But lawyers for the advocacy groups said the state lacks authority to terminate those benefits because the court invalidated the waiver and ordered the state to maintain the status quo for Medicaid benefits. They said there is no record the CMS had approved Kentucky's state plan amendment, which the state said it filed on April 23, 2018. They said the state did not meet required public notice requirements for filing the state plan amendment and it did not hold any public comment period. 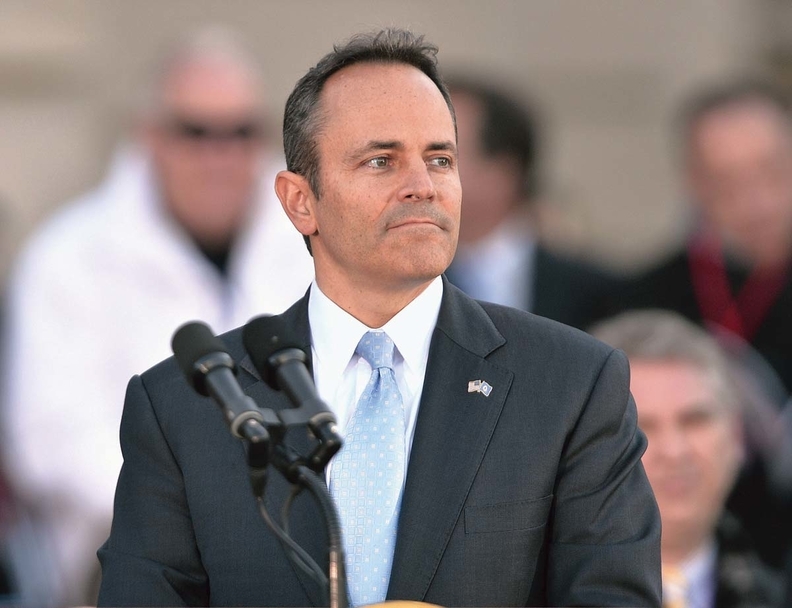 Democratic state Rep. Joni Jenkins said that by cutting off the benefits, Bevin was "thumbing his nose at the court." She worried about the effect on patients. "I am hearing that providers are hesitant to provide services not knowing who's going to pay for them," she said. "I'm afraid there are folks who have dental emergencies and need attention right away. If you've ever had dental pain, it's not fun." Clarification: This story has been updated to clarify the groups&apos; public comment concerns.